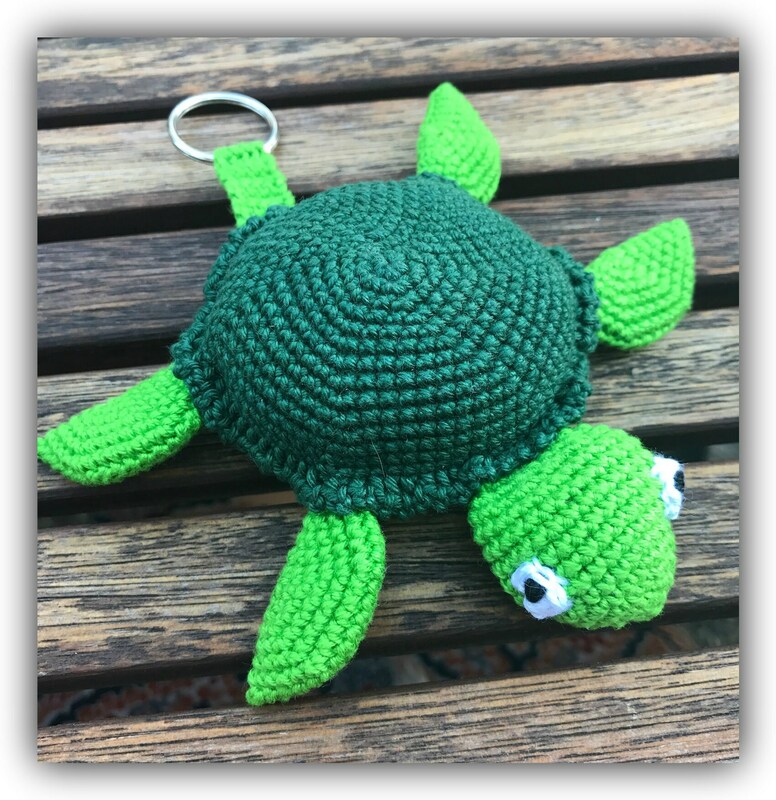 A cute Turtle luggage tag so you can find your luggage more easily. Can also be used as a toy if you skip the key chain. The pattern is in american english terms.